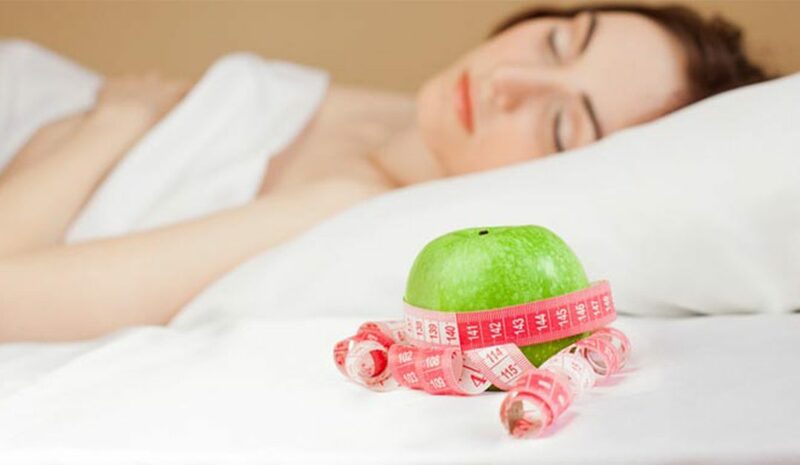 Studies show that when deprived of adequate sleep and this can have a big impact on your weight. 1)Increase in Appetite: When sleep deprived, your body produces more of the hormone cortisol. This is one of the hormones that control appetite. More cortisol in your system, the hungrier you are. It can get so bad that even when full, you feel hungry and can lead to overeating and weight increase. Cortisol is also produced when we are under stress; it is produced by our body when we feel threatened – the fight or flight syndrome. If you are under a lot of stress while you are awake, and then don’t get enough sleep at night, that can really throw your cortisol levels out of whack. 2) Increase in Body Fat: If you eat more calories than you burn, you are going to gain weight, muchis body fat. However, that may not be all that is causing you to gain weight. Another culprit could be reduced metabolism (number of calories burned in a day). Sleep deprivation interferes with the ability to burn carbohydrates. This can lead to high blood sugar; causing an excess secretion of insulin, causing increased body fat. Not only are you eating more than you should, your body is not burning it at the rate it should. What causes us to not sleep enough? Most of our sleep loss is caused by sleep apnea, being overweight and insomnia. Sleep Apnea: A medical condition where breathing stops and starts up to hundreds of times per night without you even knowing it. Even though you are not physically waking up, your body is and as a result, you are not getting the sleep you should. Obesity: Weighing more than you should can cause difficulty finding a comfortable position to sleep. As a result, you end up being awake more that you should. Also, if you have not replaced your mattress within the last eight years, you are due for a new one. That alone could help you sleep better as it will support you better than your old one, thus allowing for a more and better sleep cycle. Insomnia: Worrying (work or family problems) will not allow you to sleep as much or as well as you should. In time, this takes a toll on your body and as we know, can sabotage your weight loss efforts. Adequate sleep is just as important to your weight loss efforts as is the food you eat and exercise you get. If you are sleep deprived and can’t figure out the cause, see your healthcare professional to see if a medical condition is causing your sleep loss.